Chris Detrick | The Salt Lake Tribune Conferencegoers in Temple Square before the afternoon session of the 187th Annual General Conference at the Conference Center in Salt Lake City Saturday, April 1, 2017. In light of the recent social media #MeToo campaign, which has brought to light the deplorable pervasiveness of sexual harassment and abuse, some are questioning common practices that may cross similar, inappropriate lines. It turns out, it is not appropriate for adolescent and teen youth to sit in a room with a male ecclesiastical leader with the door closed and be expected to answer questions about sexual history, inclinations or desires. 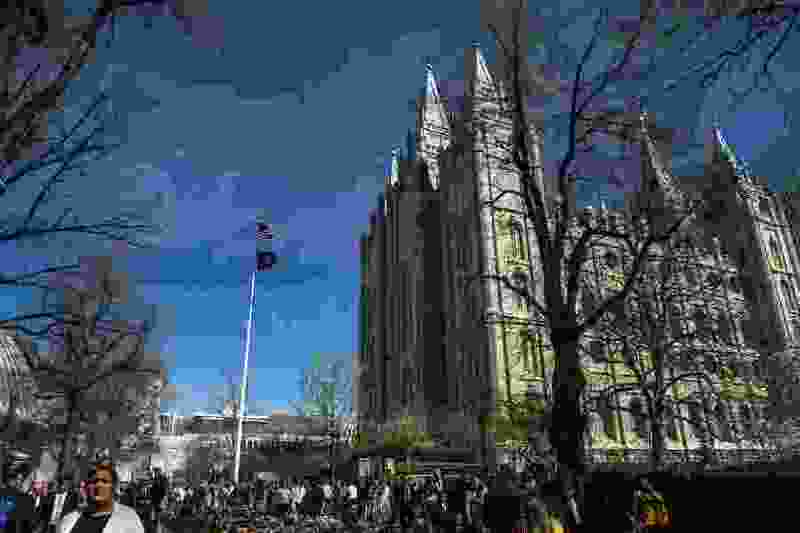 Salt Lake Tribune reporter Peggy Fletcher Stack recently reported on the questionable nature of the prominent practice of the “bishop interview” within The Church of Jesus Christ of Latter-day Saints. Reporters delved into the subject on the Tribune’s popular podcast, “Mormon Land,” along with Salt Lake City therapist Julie de Azevedo Hanks and a former LDS Bishop Richard Ostler. The consensus is that the practice of Mormon bishops “interviewing” adolescents about their sexual history as part of the repentance process is both unnecessary and fraught with danger. It places adolescents in uncomfortable situations where they feel obligated to talk about sensitive issues with non-family members. It also sets men up for misunderstandings and even possible temptation. Heaven forbid the church embolden such awful acts like child abuse, as happened with Erik Hughes, who was recently sentenced for sexually abusing two boys during his time as a LDS bishop. And few can forget the harrowing stories of sexual abuse by Catholic priests on altar boys detailed in the Oscar-winning movie, “Spotlight.” In fact, survivors from those horrific experiences have called on the LDS Church to change its practices. The LDS Church responded to concerns by assuring the public that the practice is well-meaning, and the church encourages safeguards. Bishops are encouraged to ask a parent or other adult to be in an adjoining room, foyer or hall, and to avoid circumstances that may be misunderstood. But adolescents do not know they have the power or right to stand up and walk out of the bishop’s office if they feel uncomfortable. Often, such interviews determine whether the teenager can participate in youth activities. There is a solution that doesn’t require abandoning the quintessential religious notion of confession. Boys and young men can meet with the bishop and a counselor, or the bishop and his father, if the young man so chooses. The church can empower female leaders to counsel with young women. And if discussion with the bishop is necessary, the female leader can join in that conversation. The important part is that the adolescent should choose who she talks to about sensitive matters. The “bishop’s interview” is policy, not doctrine. And a change in policy is long past due.